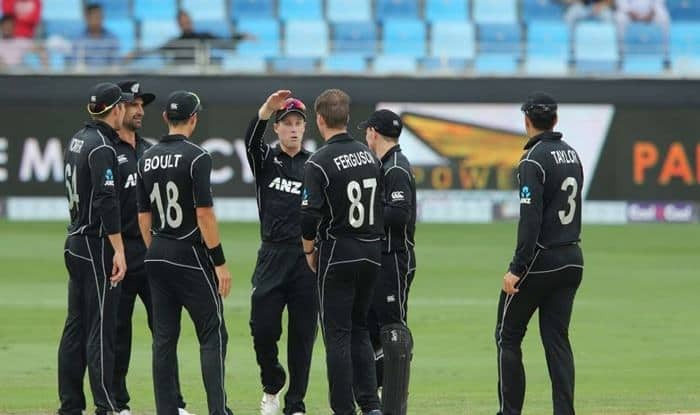 New Zealand have named all-rounder Daryl Mitchell and pacer Blair Tickner in their squad for the upcoming three-match T20 Internationals (T2oI) series against India. The series is set to commence after the five-match ODI series, where the visitors have taken a three-nil unassailable lead in the 50-overs format matches,. The Men in Blue displayed a clinical effort to win three back-to-back matches. According to the press release from New Zealand Cricket, Mitchell has been included in the squad after a strong Super Smash campaign, New Zealand’s T20 tournament, and some solid form for New Zealand A in one-day cricket, while Tickner will join the team for the third match in Hamilton; replacing Lockie Ferguson. Doug Bracewell has recently replaced the injured Jimmy Neesham ahead of the T20 series against Sri Lanka, has retained his place in the squad. New Zealand Cricket’s selector, Gavin Larsen revealed that Mitchell made a strong case for himself in the eye of selectors following impressive performances for the Knights. Recently, he also knocked 61 off 23 balls against the Stag in Napier. “Both Daryl and Blair have been rewarded for the strong form they’ve produced in domestic cricket. They’ve been there or thereabouts for most of the season and both featured in our NZ A short-format teams. Daryl has shown his value with the bat and also tends to bowl at some tough times for the Knights, and Blair is well-respected among his team-mates and opponents alike as someone who bowls a heavy ball at good pace,” Larsen said. NZ T20I squad vs India: Kane Williamson (c), Doug Bracewell, Colin de Grandhomme, Lockie Ferguson (Games 1 & 2), Martin Guptill, Scott Kuggeleijn, Daryl Mitchell, Colin Munro, Mitchell Santner, Tim Seifert (wk), Ish Sodhi, Tim Southee, Ross Taylor, Blair Tickner (Game 3).